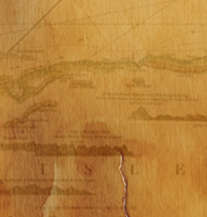 The Conch Republic Army's 1st Artillery is garrisoned at Conch Republic Army HQs, Fort Taylor. While the complete weaponry list remains classified, forces wishing to test the mettle of the Republic's artillery, will face a 3-inch Ordnance Rifle, a 1.5-inch smooth bore cannon, a Coehorn Siege Mortar, the "Seven Sisters" and various seacoast cannon at Fort Taylor, plus, any other cannon that can be begged, borrowed or stolen. Like the other branches of the Conch Republic Military, the Conch Republic Army is an all-volunteer group. Always loyal to the Republic's cause and philosophy and was nominated in 2005 to be commissioned as a branch of the Conch Republic Military FARCES! The commissioning took place in early 2006 aboard the flagship of the Conch Republic, Schooner Wolf. Following the induction, the Supreme Commander of Conch Republic Forces and First Sea Lord then formally established the 1st Conch Republic Artillery as part of the Army of The Conch Republic. Hence began the ceremonial "Taking of the Fort," held each year during the annual Conch Republic Independence Day celebration, when the Secretary General pays his respects to the caretakers of Fort Taylor, which is the state of Florida. Following the Secretary General's comments, the National Flag is raised over Fort Taylor. 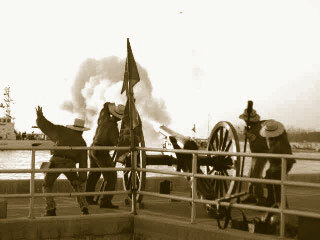 When the flag reaches its pinnacle, the artillery fires a volley to commemorate the "victory" over the State of Florida.